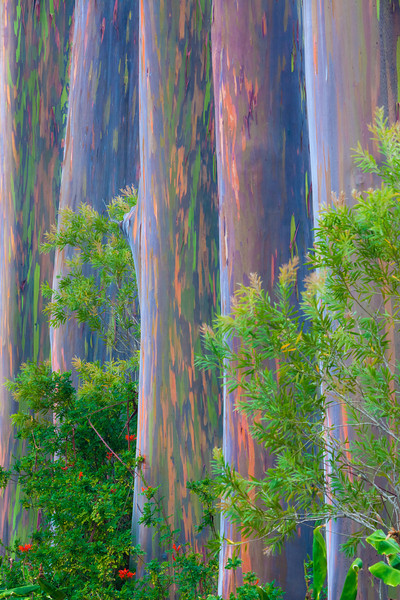 Ever seen a Rainbow Eucalyptus tree? They're surreal! Their bark is a magical mix of vivid colors. I found this row of Rainbow Eucalyptus trees on the Big Island of Hawaii. The trees were perfectly spaced, about 5 yards apart. I shot them looking down the row, using a telephoto lens to compress the shot and make this abstract.